1) How long the technology been available? 2) Have there been any recalls associated with the technology? Tractor trailer accidents in Indiana and Illinois are commonplace and can be very harmful to the driver, as well as, any other drivers or passengers in surrounding vehicles. It is not uncommon for the end result to be a severe life changing event for affected families members, let alone those who are injured. Tractor trailer regulations are governed by the state. While regulations are stringent regarding vehicle maintenance, load limits and other safety precaution policies, enforcement of the regulations is difficult in light of the shortage of regulators, inspectors and troopers on the road. This leaves the safety in the hands of trucking company owners. Trucking company owners are obligated to meet safety standards with every load that leaves their driveways. Trucking company manufacturers are responsible to ensure that all vehicle parts are completely in an operational order. Yet, sometimes, there are defective auto parts and other times, trucking company owner employees may be inclined to cut corners when deadlines to hit the road and deliver goods in a timely fashion are the highest priority. Personal injury attorneys who manage tractor trailer accident cases know how to access experts who can evaluate all factors that go into to tractor trailer accidents, including: load limit, breaking capacity, operational parts, and weather condition factors that may have impacted the course of the driver. Pain pumps used during and/or following surgery for medical procedures are generally safe. In fact, advancements in pain pumps have taken the fear, anxiety and discomfort out of surgery for many people throughout the U.S.
At Padove Law, we like to keep you informed about recalls that may occur with many types of medical devices over time. Such is the case for a recent CLASS I RECALL announced by the Food and Drug Administration for Moog Medical pumps, including: Curlin 6000 CMS, Curlin 6000 CMS IOD, PainSmart, and PainSmart IOD. Not all of the company’s medical devices were recalled, but a specific group that was distributed from May 2007 to February 2011. A CLASS I RECALL signifies the need for healthcare professionals to take immediate action to return affected models to the manufacture due to the discovered risk of serious injury or death that may result with the advent of an uncovered defect in the medical device. Indiana law conflicts were suited to reshape the statute of limitations for medical malpractice. According to Indiana statues, a medical malpractice lawsuit must be brought against a party within two years of failure to treat, neglectful injury or wrongful death. Recently, the Indiana Supreme Court weighed in on conflicts for lower court decisions in which the Supreme Court decided that the statue has merit, but cannot be applied in cases when the injured party was not able to learn about the condition until after two year rule. 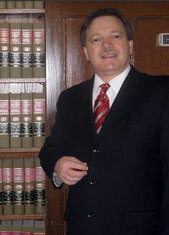 In this exception, injured parties may file a lawsuit within two years after the discovery of the medical malpractice. This decision served a breast cancer patient well so that she could recoup losses for a physician’s failure to diagnose her breast cancer. Several other medical malpractice victims received proper attention for their complaints under the same exception. Advanced Bionics took swift action to recall the company’s HiRes 90K cochlear implant device and all un-implantable devices that have been distributed. This hearing aid recall was initiated following two reports from users who experienced excessively loud sounds, shocking sensations and a high level of discomfort. These side effects occurred within eight to ten days of initial use of the hearing aid. At present, Advanced Bionics does not know why the HiRes 90K cochlear implant device and the company’s unimplantable devices are producing such side effects. The company is working with the Food and Drug Administration to determine the root cause that prompted the hearing aid recall. Typically, flaws in the design of the product or in safeguards of the product are the reasons for malfunction in products. Hearing aids have come a long way from the first ear trumpet style versions of the 1700’s. By the mid 1850’s, a thin metal device was designed to meet specific needs for the hearing impaired. Nearing the 1900’s, ear tubes with speaker connections gained popularity. By the 1940’s, more modern hearing aids were developed and were offered in a variety of sizes to meet the specific needs of individual users. By the end of the 50’s, hearing aid styles were smaller due to advancements in microphone and battery technology. In the 1990’s, digital processing hearing aids took over the marketplace, which provided greater clarity, a full range of tones and a more discreet appearance. With the advent of digital technology, designs specifications have changed and hearing aid manufacturers are dedicated to creating advanced design specifications that do not pose risks for consumers. On November 18, 2010, the U.S. Judicial Panel on Multidistrict Litigation will meet in Durham North Carolina to decide if all states’, including Indiana, DePuy ASR Hip Implant lawsuits should be heard in one court. This outcome is the result of the high number of lawsuits that are being brought against the company, estimated at 4000 to date and thousands more expected because consumers who have this hip implant are still learning about the risks. The DePuy ASR Hip Implant was recalled by the FDA following a report by the National Joint Registry of England and Wales which demonstrated that 1 out of every 8 patients who received the DePuy ASR Hip Implant had undergone revision surgery within a five year time period after the initial placement of the implant. Typically, a hip implant should be long lasting, at least 15 years. Revision hip surgery is real surgery that is very invasive, requires a significant recover time period and is associated with risks. There has also been an additional warning about metal on metal hip implants, such as the DePuy ASR Hip Implant, which can cast metal particles into the body, causing soft tissue damage and inflammatory responses that may lead to bone loss. People who have filed lawsuits are those who have undergone revision hip surgery or are concerned about the increased risks associated with the hip implant. Approximately, 93,000 DePuy ASR Hip Implants were distributed throughout the U.S.